freecolor is expanding its successful with the new Industrial sublimation textile printer FC-TX1800.Portfoliofor high performance inkjet sublimation printers, freecolor now offers digital direct sublimation printing systems. As you would expect, the combines industrial production capabilities with the highest print quality and reliability. 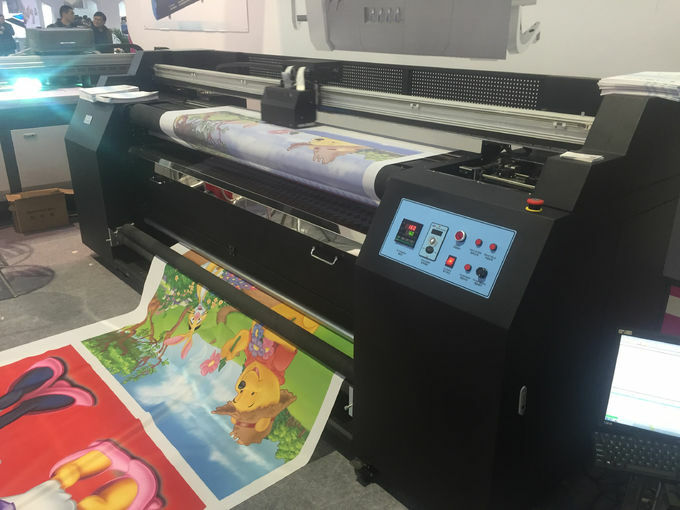 The printer system was designed for non-stop production and achieves a maximum resolution of 1440dpi, with a maximum production speed of 60M2/ H . The sublimationTX180-Z eatures a maximum print width of 1800 mm and is equipped with the latest DX7 printheads (5113 is optional). It can be configured with 8 colors. freecolor offers a specially formulated Dye Sublimation Ink System, water-based, free of odors, skin-friendly and free of any volatile organic compounds (VOC). 1. Printhead Type equipped with sublimation printer. 2. Digital sublimation printer can provide High durability and high definition. 3. digital Dye sublimation printer provide fully guarantee for printing precision and stability by applying high quality aluminum crossbeams, THK guide rail, servomotor and stable rack. 4 Fabrics Variety can be printed by Digital Dye sublimation printer. freecolor textile printer is using active dye ink, dispersive dye ink and acidic dye ink, sublimation ink and pigment ink which are good matching for cotton, hemp, silk, nylon, chemical fiber etc. 5. 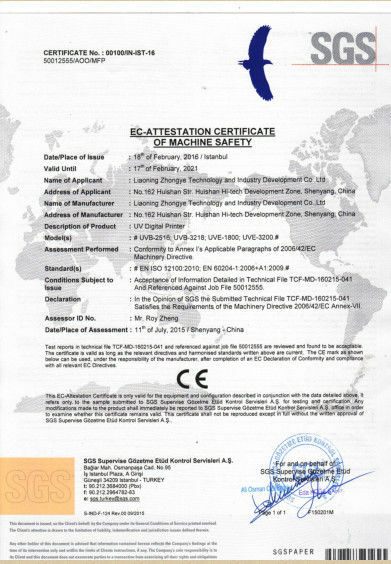 Transmission structure is equipped with Digital Dye sublimation printer. digital Dye sublimation printer equipped ceramic heater that heat up super quickly and precise heater sealing can ensure the constant temperature to sublimation the printed fabric. freecolor Dye sublimation printer adopt full imported printhead protection system including full wet hermetic capping device, suction facility and printhead scrape device, that keeps printhead unclog, clean and non-air bubble status for a long time, and improves stability of digital Dye sublimation printing. Digital Dye sublimation printing is simple and leaves out sublimation paper transfer process, only one operator can operate textile printer with highly efficiency bearing the highest printing performance. 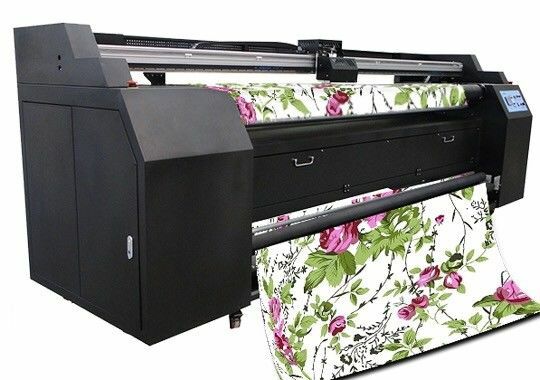 Digital Dye sublimation printer also adopts the most advanced thermal energy technology, which can reduce the energy consumption (electricity, water) and minimum environmental impact. 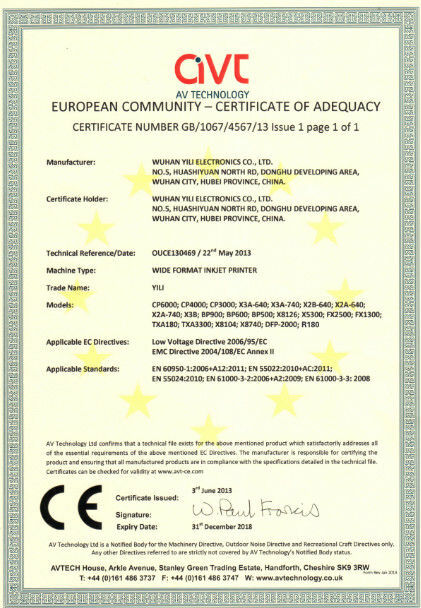 Printing Sample costs dramatically reduced by No more engraving departments for plate! There is also No more cost and stock for materials, inks. 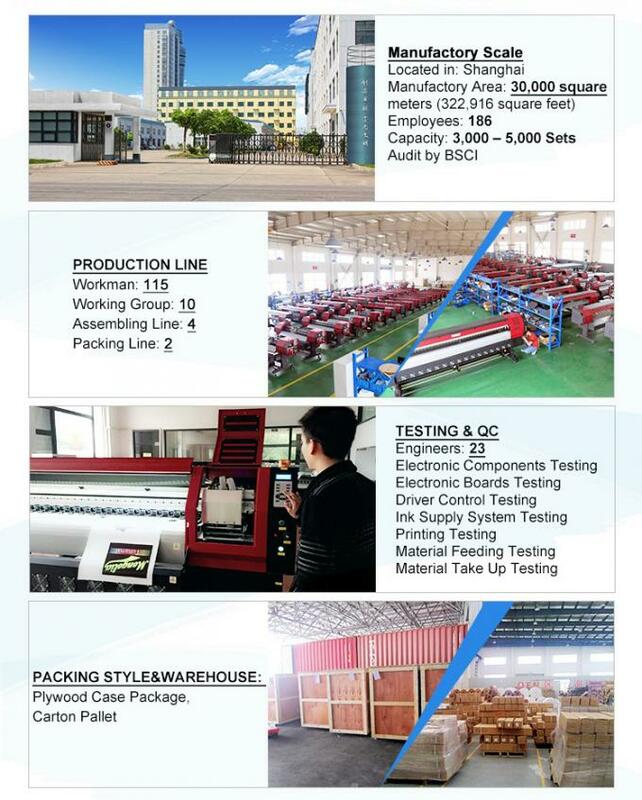 Manpower is Flexibility using when you choose Digital Dye sublimation printer: Dye sublimation printer is stable but high efficiency which will be save your labor cost and time cost, it also has broad market prospect and unlimited business opportunities on textile printing industrial. 13. Easy training for Digital sublimation printer and our Industry always rapid response to customer inquiry. 14. 4colors or 8 colors ink combination is optional for digital Dye sublimation printer, it can configurate colors according to the requirement of the painting design. 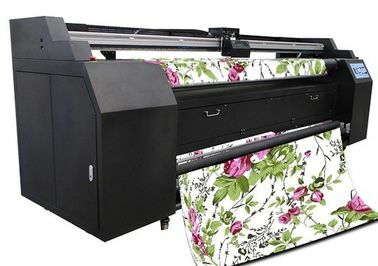 Sublimation Textile Printer is applied in textile printing Industrial to replace traditional printing technique which is the solution of both large batch & small batch, low cost, fast printing requirements. The productive printing speed and width options achieve the possibility of meeting the fabrics printing requirements with digital printing method. 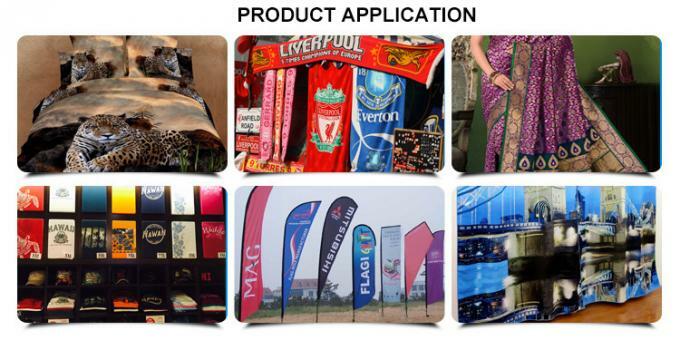 Adequately Meeting customers' requirements of sample printing, individual finery printing, family needs fabrics printing, sign advertisement, textile adornment, advertisement textile printing, digital textile printing, carpet digital textile printing, windows curtain digital textile printing and interior decoration textile printing, home textile printing, bedclothes printing and flax textile printing widely manufacture colored flags, national flag, road flag, Car Flag, party flag, Strings Flag, table flag, meeting flag, teampennant factory flag; manufacture droplets flags, beach flag, hall flag , tour guide flag, checkmark flag, ground flag, hand signal flag, indoor flag, international flag, advertising flag, Feather flag and more applications.